For his 2018 ‘Darktown Chartbusters’ exhibition in Edinburgh, Jonny Hannah spent months trawling through the leftover 45s, LPs & 78s from the Mermaid Café Jukebox in sunny Darktown to bring an exhibition of their Chartbusters; hot wax that was once in the Darktown Top 100, from the obvious to the painfully obscure. Hank Williams will be rubbing shoulders with Noël Coward and Rube Bloom & His Bayou Boys, in a cornucopia of hand-painted covers that are sure to burn your eyes & etch into your brain, in true Darktown style. 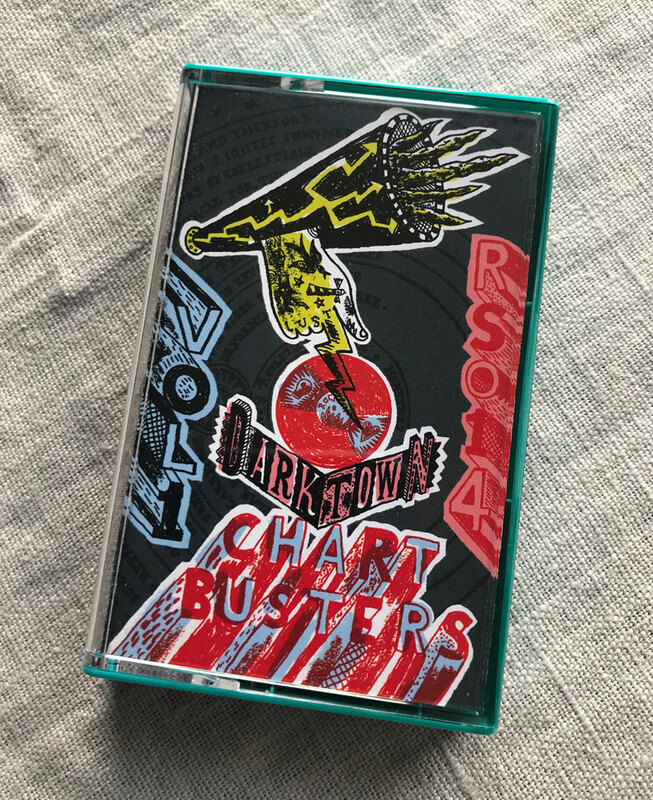 As part of the event, Jonny built on the success of his mix CD, 'Songs from The Mermaid Café Jukebox Vol.1', with this brand new Random Spectacular mix-tape, 'Darktown Chartbusters Vol.1'. We’ll have further copies to purchase soon. Sign up for our e-mail newsletter or keep an eye on the St Jude’s Prints online gallery for further details.